Donald Trump will hold a town hall in Green Bay, Wisconsin on Wednesday, March 30, at 8 PM. 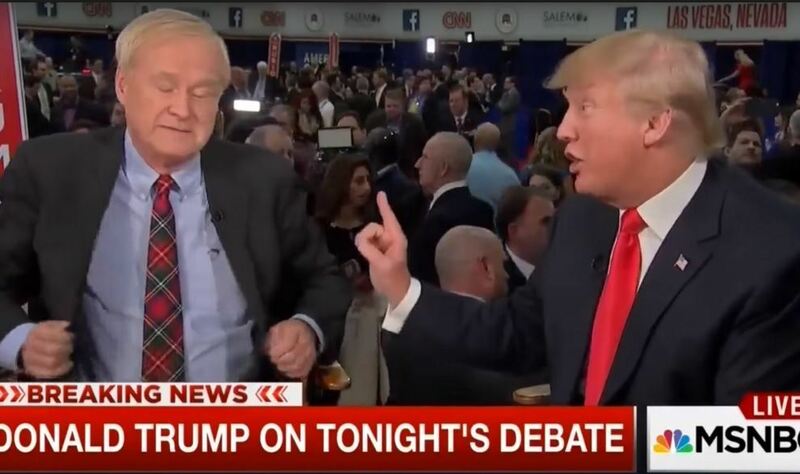 Donald Trump may have declared debate season to be over, but he has agreed to another town hall, this one hosted by Chris Matthews on MSNBC at 8 PM Wednesday, March 30. Matthews will put questions to the GOP front-runner, as will voters in Green Bay, WI, where the town hall will be set. With 42 delegates on the line in the April 5 primary, Wisconsin is a critical test for Trump, who needs to secure 1,237 delegates to seal the deal on the party’s nomination. MSNBC has hosted 10 previous town halls with Republican and Democratic presidential candidates this campaign season including Trump, Hillary Clinton, Bernie Sanders, John Kasich, Marco Rubio, Chris Christie and Martin O’Malley. Trump declared he was “done” with debates after the RNC had tried to schedule another one for this past Monday on Fox News Channel. FNC had to cancel after Kasich said he too would decline if Trump was a no-show.